In addition to helping with the Westerly photography project, I've had the opportunity this year to assist with an international photography project involving the youth in the Lighthouse program in Sierra Leone, West Africa and in the Jr. High and High School groups of Grace Community Church in Seal Beach, California. The young artists were each given a disposable camera and asked to record images exploring the concepts of brokenness and beauty in their lives. Selected photographs from the project will be presented at a reception and silent auction on June 19 at ‘The Cliff House’ Gallery Space in Grace Community Church in Seal Beach, California. The reception is from 5:30 to 9:00 pm. Proceeds from the auction and sale of prints and exhibition books will go to the Sierra Leonian participants’ college funds. If you cannot attend, but would like to support the project, please contact us. You can find out more about the project at the Broken-Beautiful website. UPDATE: Scott Martindale wrote an article about the show for the Orange County Register. Including interviews with some of the participants and lots of photos! Yeah! I had the opportunity to assist the Westerly School of Long Beach 5th Grade Class with their photography project again this year. The show is titled Edificando Momentos ~ Building Moments: A Photo Exhibit of Architectural Translations. 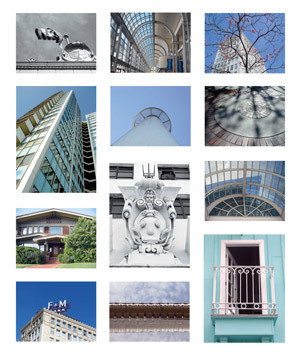 It was an interdisciplinary project that involved photographing the architecture of Long Beach, composing a description about the piece and translating the description into Spanish. The show opens June 8, at the Toyota Children's Gallery at the Long Beach Museum of Art and runs through August 19. I encourage you to check out the work of these talented students. TIP: Fridays are free at Long Beach Museum of Art and while you are there enjoy lunch at the wonderful café overlooking the Pacific Ocean. UPDATE: Julian Bermudez wrote a great article about the show for the Gazette Newspapers. The show closes on September 28, so get to the museum and see the work while you can. This is my first year to experience the end of the school year as a parent. Now that school is over (as are several of Ethan's other regularly scheduled activities), we are looking for fun ways to spend time together as a family. Two of our favorite places to find out what is going on in and around town are Kidsguide and GoCityKids. Kidsguide distributes a free monthly magazine and a great summer calendar loaded with activities for kids of all ages (pick up a free copy at most family friendly businesses in south LA County and Orange County). This year Liz and her team have added a weekly e-mail newsletter, called The Buzz, that includes information on upcoming events, a feature from the print magazine and a weekly tip. TIP: Going out of town this summer? Gocitykids.com is also a good resource for learning about family friendly activities at major cities around the country. What are your favorite online resources for learning about all that there is to do in and around town? Add them to the comments.